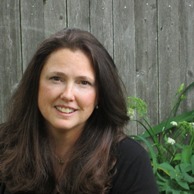 Linda Flaherty Haltmaier is an award-winning writer and the Poet Laureate of Andover, Massachusetts. She is the winner of the Homebound Publications Poetry Prize for her full-length collection, Rolling up the Sky (2016). Her work has earned numerous awards including first place in the Palm Beach Poetry Festival Competition, finalist honors for both the Princemere Poetry Prize and the Tucson Festival of the Book Literary Award, and been shortlisted for the Robert Frost Poetry Prize. She has been nominated for a Pushcart Prize and her poems have appeared extensively in journals and anthologies including Switchgrass Review, WSQ, Ink & Letters, Wild Word, and more. Her debut chapbook, Catch and Release, was published by Finishing Line Press (2015). A Harvard graduate, Linda has received writing residencies at the Noepe Center for the Literary Arts and been a poetry contributor at the Bread Loaf Writers’ Conference. As Poet Laureate, Linda leads poetry workshops, gives readings, and promotes poetry on the North Shore of Boston where she lives with her husband and daughter.